Applying to a UK university can be time-consuming and challenging for an international student. That is why the Premium University Application Service does the hard work for you, guaranteeing you a place at a UK university. 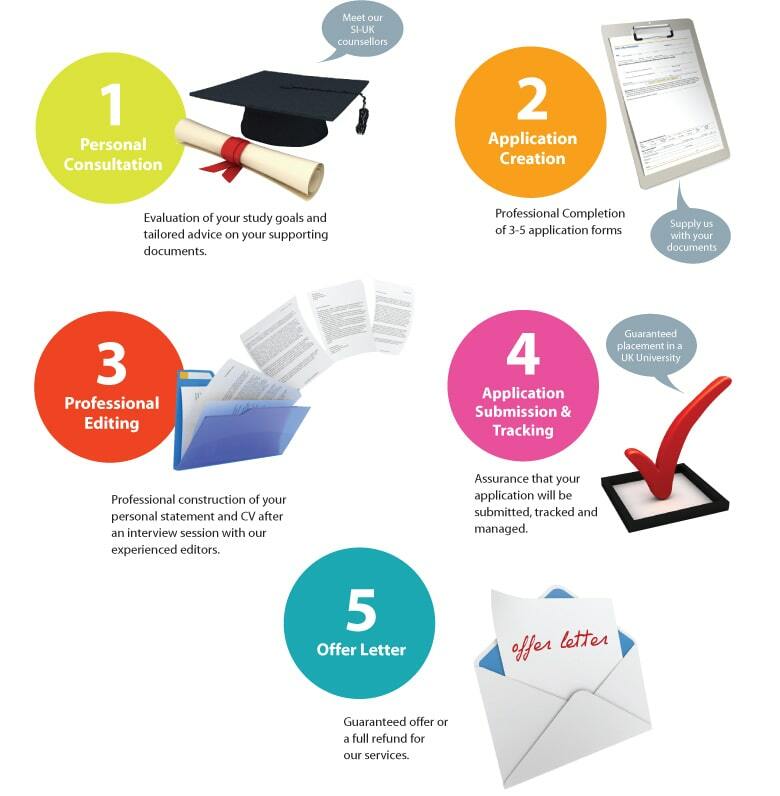 From completing your application forms to professionally editing your personal statement, your dedicated university consultant will make sure that your application is the best it can be. Once your application is submitted and tracked by ourselves, we will guarantee you at least one offer from a UK university or you will receive your money back!